Nova Scotia's most famous amateur weatherman's viral videos are making headlines around the globe. Nova Scotia's most famous amateur weatherman is making headlines around the globe this week. 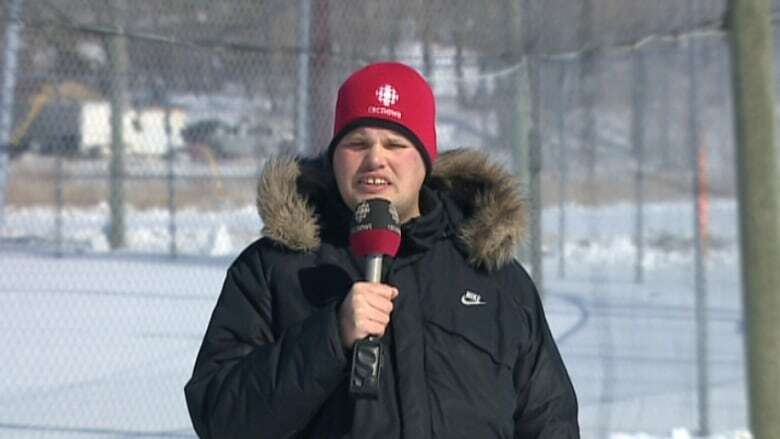 At a young age, 30-year-old Frankie MacDonald fell in love with the weather. He said he has always wanted to be a weatherman. His practical advice ahead of storms, advising people to charge their devices and stock up on necessities, has made him the go-to guy on YouTube whenever severe weather hits. This week, MacDonald gained international attention after a BuzzFeed.com post about him asked the internet to "Please give this man a TV weatherman job." Word spread so quickly about MacDonald that a two-year-old CBC story on the Whitney Pier prognosticator was the third most read on CBC.ca with more than 100,000 page views — and counting. The forecaster from Sydney, who has autism, said he's happy that so many people support him. MacDonald's many videos have been viewed millions of times.